CC Cream provides moisturising care combined with instant effect of even, flawless skin with a healthy colour. It conceals small imperfections, evens skin colour, giving a natural, fresh result – like invisible make-up. Light oil-free formula, 0% of stickiness. Innovation! PhotoSensitive Pigments instantly make your skin look beautiful, giving you Blur Effect! – immediate optical effect of perfect, smooth skin. Professional Selfie Project cosmetics are rich in natural botanical active ingredients. 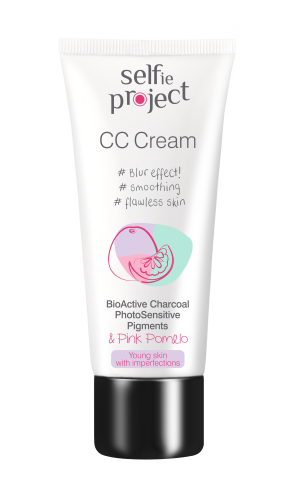 BioActive Charcoal – your new ally in the fight against imperfections! It has anti-bacterial properties, absorbs impurities, tightens and cleanses pores, mattifies the skin. 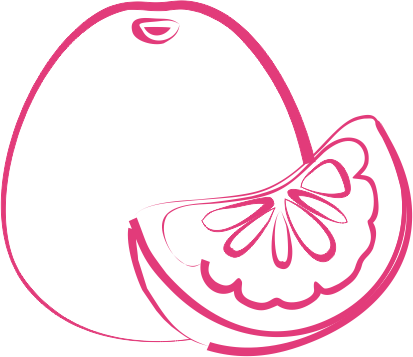 Pink Pomelo moisturises the skin, reduces redness, and soothes inflammations. Skin imperfections spread all over the face are particularly problematic since they can’t be covered under clothes and it’s really hard to divert people’s attention away from them. Therefore, any methods of covering imperfections and improving the look of our face is highly desired. Apply a very thin layer of the cream on cleansed face and neck. Remember: constantly look after your skin! Aqua, Glycerin, Isononyl Isononanoate, Cyclopentasiloxane, Boron Nitride, CI 77891, Octyldodecanol, Mica, Hydroxyethyl Acrylate/Sodium Acryloyldimethyl Taurate Copolymer, Dimethicone, Charcoal Powder, Citrus Paradisi (Grapefruit) Fruit Extract, Octyldodecyl Xyloside, PEG-30 Dipolyhydroxystearate, Polysorbate 60, Sorbitan Isostearate, Phenoxyethanol, Ethylhexylglycerin, CI 77499, CI 77491, Tin Oxide, Citric Acid, Parfum, Butylphenyl Methylpropional, Citral, Citronellol, Coumarine, Limonene, Linalool. The product does not contain substances inappropriate for young skin: parabens, SLS, SLES, or paraffin oil. Dermatologically tested.